In previous weeks, I introduced several women writers who are featured in the recently released anthology Voices from the Block: A Legacy of African-American Literature . This week I am pleased to introduce yet another–Toyette Dowdell. I met Toyette years ago and know her to be a highly skilled writer. I consider it an honor for my work to appear with hers in Voices. I can’t wait for you to learn more about this gifted writer through her interview below, and if you’re interested in meeting Toyette in person, she and many of the other contributors to Voices will be at Absinthe Lounge at Southside on Lamar, Dallas, Texas, Saturday, April 5, 7:00 pm. What was your first written work? Toyette: My first written work was a youth mystery patterned after the Encyclopedia Brown series. My first published piece was a play I wrote that was performed on stage when I was a freshman in high school. What is your inspiration for writing? Or, where do you get your ideas for your stories, poems, etc. Toyette: My inspiration for writing is to make other people feel the way I do when I read a really good book which is to be totally immersed in the story. My writing is all about entertaining and engaging my readers. I want them to be caught up in what’s happening and if there is a little bit of thought provocation then all the better. Toyette: I am currently working on a mystery thriller based in Texas about a female Texas Ranger. Today reflects the third installment of highlighting women writers during Women’s History Month (March). 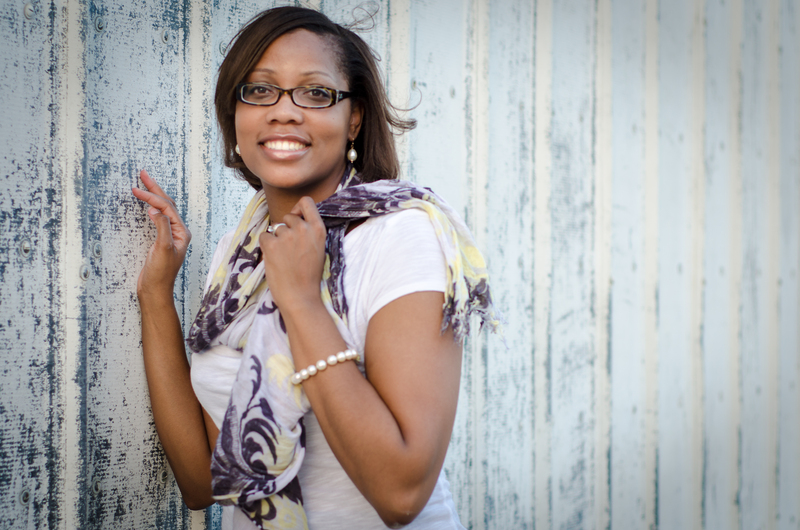 Today I introduce you to one of the most diverse women writers I know…Sharron Pete. Sharron is not only a great short story writer but also an accomplished article writer and novelist. In essence, she writes well in either long or short form. Sharron, along with six other talented women writers, is one of the featured contributors in the recently released Voices from the Block: A Legacy of African-American Literature, a compilation book of poems, essays and short stories written by some of the most prolific members of the Writer’s Block. Since I was a child, I have always written stories and poems. I’ve always loved to read and I enjoy the aspect of developing characters that others can enjoy. I began to write more seriously (i.e., entering contests, submitting articles) as an adult when I was searching for a way to explore my creative side. The first thing I ever wrote for public consumption was a short piece about my travels overseas and how it deepened my relationship (and dependence) on God. I wrote it in response to a weekly challenge contest sponsored by Faithwriters.com. I see myself as a writer whose main objective is to help spread the word of God to others. Not through a preachy, hit-you-over-the-head message but instead through flawed characters and everyday life experiences (big and small) that we can all relate to. Currently I am revamping my blog. I have a passion for helping others see how God works in their everyday lives and my blog (still very much under construction) aims to do this. I’m also exploring the world of freelance in small bite-sized pieces as I manage my typical day-to-day obligations. March Brings Women, Women, Women! March not only ushers in spring, the Lenten season and March Madness, it also heralds the opportunity to learn more about women and our contributions to the world as we celebrate Women’s History Month. This Women’s History Month, I want to take a slightly different position. I still plan to honor women in my posts this month, but my focus will be on six amazing women who I have had the pleasure of working with recently and who I am sure are creating history of their own. These women, along with yours truly, are contributors to an anthology which will be released this month. It is titled, “Voices from the Block: A Legacy of African-American Literature,” and it features poems, essays and short fiction, original works by these talented women. I will showcase one or two of these great writers weekly, and I hope the introductions will inspire you to seek more of their written work. I know I am inspired by them. They truly are women of history. Prepare to meet: Toyette Dowdell, Bennye Johnson, Ingrid Lawton, Sharron Pete, Breggett Rideau, and Faith Simone. Faith: I knew I wanted to be a writer as a young girl of about 9 or 10 years old. I was always writing in my journal, as well as penning short stories and poems. I knew I wanted to be an author when I grew up, but I let fear of not having a steady career cause me to relegate writing to ‘just a hobby.’ Now, I’m heading full steam ahead in pursuit of a stellar writing career! Faith: My first written work was a fourth grade English assignment. I wrote a novella involving a young girl dealing with her mother’s abandonment and her father’s subsequent re-entry into the world of dating. It was pretty deep subject matter for a nine year old. I still have the original! The anthology “Voices from the Block: A Legacy of African-American Literature” is my first published work. I am proud to have contributed several poems and short stories focused primarily on women’s issues and relationships. Faith: Love is my inspiration for writing. The love God has for us, the love we have for ourselves, the love between a man and a woman, a mother and child, siblings and friends, etc. Love is a beautiful thing! It’s complicated and rich. It’s multi-layered and inexplicable. I get ideas for my short stories, poems and novels from everyday life. Inspiration can come to me while watching the news, overhearing a conversation, watching a movie, reading my Facebook newsfeed or staring at a cloud. Many times I get great ideas just by sitting quietly with my own thoughts. Faith: Currently, I’m working on getting my first full length women’s fiction book published. It’s a contemporary inspirational novel about a woman struggling to move forward after being hurt in a past relationship. Forgiving doesn’t always mean forgetting, and the question is will the main character be able to let go of her anger and walk into all that God has for her? 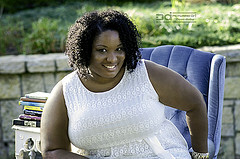 I’m also writing my next novel and blogging away about publishing and other shenanigans on my blog, faithsimone.com.